New features make the 2018 Hyundai Tucson more attractive than ever before! 2018 Hyundai Elantra scoops up an IIHS Top Safety Pick Award! Which all-wheel drive Hyundai is right for you? 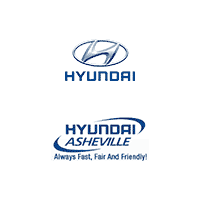 Explore your options here at Hyundai of Asheville. Learn How to Change Your Hyundai Accent’s Wiper Blades With This Video! The Highly-Anticipated 2018 Hyundai Elantra GT Will Arrive at our Dealership Soon! Why Choose a Hyundai Instead of a Ford? Why Should You Consider a Hyundai Hybrid?